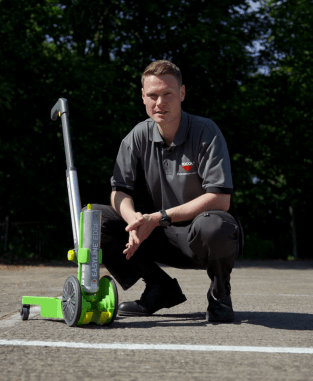 With our EASYLINE EDGE line marking system. With a superior paint formulation combined with the precision engineered EASYLINE EDGE applicator, the EDGE System produces sharp, bright and durable lines. For technical support, call: +44 (0) 113 232 2840. 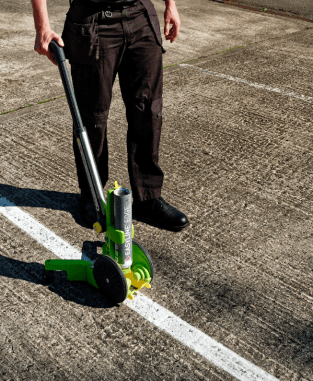 Find out more about the EASYLINE Applicator here. 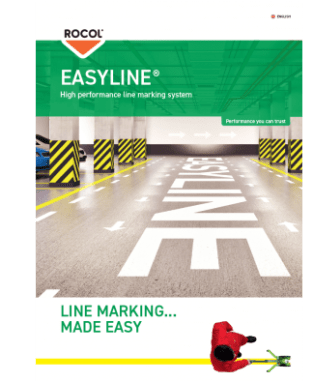 EASYLINE EDGE line marking paint is accepted as the ultimate line marking paint aerosol around the world. 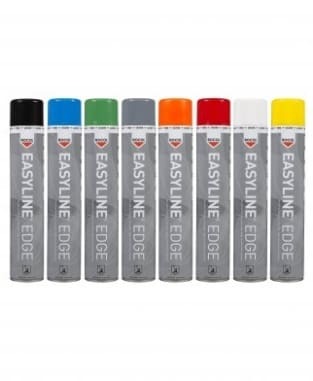 Available in eight RAL matched colours and fluorescent yellow, EASYLINE Edge line marking paint is an extremely durable, ‘traffic grade’ epoxy paint ideal for line marking and free hand marking both indoors and out.